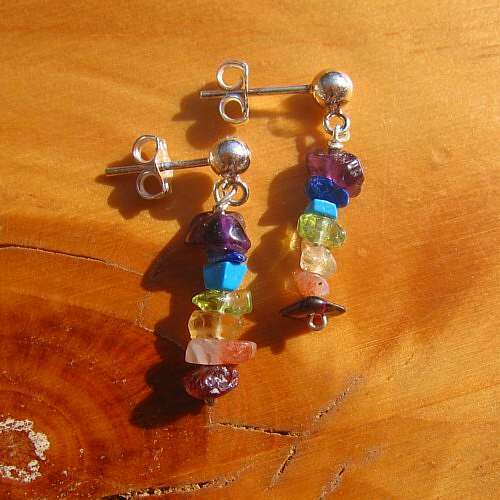 Chakra earrings tumble crystals silver hooks. 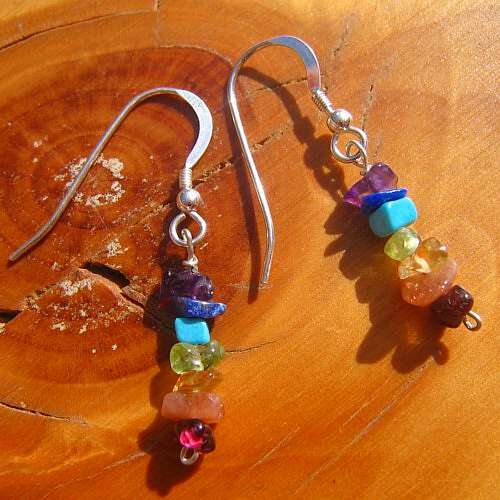 Because the crystals I use are tiny, these earrings have a dainty, natural look. 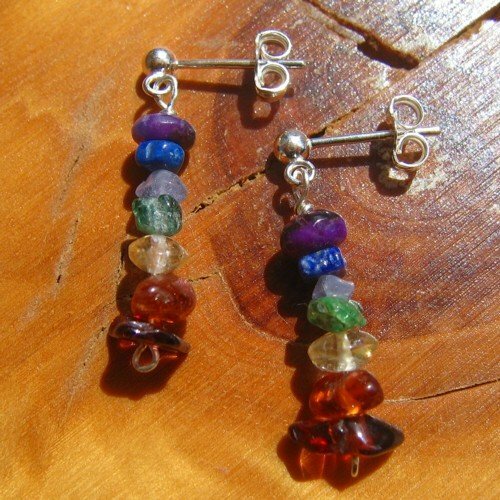 First of all, I thread amethyst, lapis lazuli, turquoise, peridot, citrine, sunstone and garnet on to silver wire. 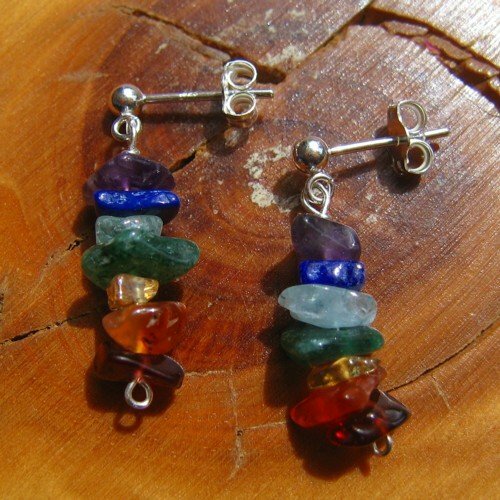 Each stone corresponds with each of the seven main chakras. Therefore, the crown, third eye, throat, heart, solar plexus, sacral and base (root) chakras. Finally, I attach them on to sterling silver ear hooks. 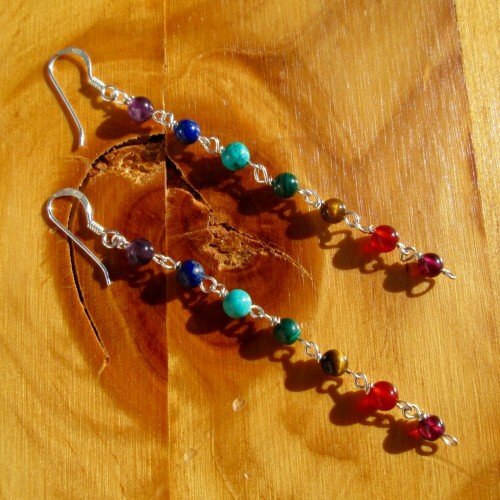 Your “chakra earrings tumble crystals silver hooks” measure approximately 2.5cm/ 1 inch in length.